Ing. Helena Sebkova, CSc. is Director of the Centre for Higher Education Studies, a Czech public research institute. 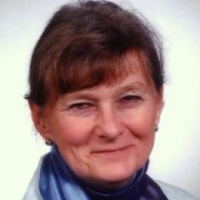 She was the national coordinator for the OECD Thematic Review of Tertiary Education for the Czech Republic in 2004-2008, and recently the coordinator for an international project on European standards for quality assurance at the institutional level. She has a clear view and wide understanding of the post-1989 transformation of higher education both in the Czech Republic and internationally. Helena’s interests are in quality assurance in higher education, institutional and programme diversification and cooperation between universities and external partners. She is the editor-in-chief of the research journal Aula, published by the Centre for Higher Education Studies.